We have been offering our moving service in N4 for many years now and we have many happy customers in the Finsbury Park area. Our reliable and friendly service is second to none. Happy 2 Moves man and a van in Finsbury Park team also offers a complete packing service, we supply the material, we will come to your house and securely pack up all your personal belongings and then transport them safely to your new home. The Finsbury Park area has become a very chic part of North London, popular with celebrities and tourists and all the while celebrating a rich, historical culture. The park was used for pacifist meetings during the First World War, and later, heavy armour was gathered here prior to the D-Day landings of World War II. Which such a sense of prestige it is no surprise that the area has attracted a host of famous faces. 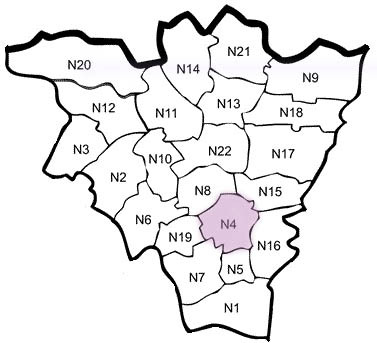 Kate Beckinsale, Minnie Driver and Emily Mortimer, among others, were even born in the N4 area. The area is not to be confused with Finsbury, which is 3.3 miles further south in the London Borough of Islington. This is where many people get confused, and even upon finding Finsbury Park we sometimes hear about movers getting lost. For this reason we strongly recommend making use of Happy 2 Move’s man and a van in Finsbury Park team, who know the area thoroughly and are able to get you to your destination in good time. We will not only pick you up and take you to your new destination, but also help you load and unload the van. Our drivers are committed to the task at hand and deliver a stellar service. If you need a man and a van in Finsbury Park to help make your move easy, affordable and efficient, look no further than Happy 2 Move.